My latest book arrived yesterday! And I’m celebrating by offering autographed copies for only $20 with free shipping. Click here to order yours. Or you can wait another two or three weeks and buy it from your favorite bookseller. 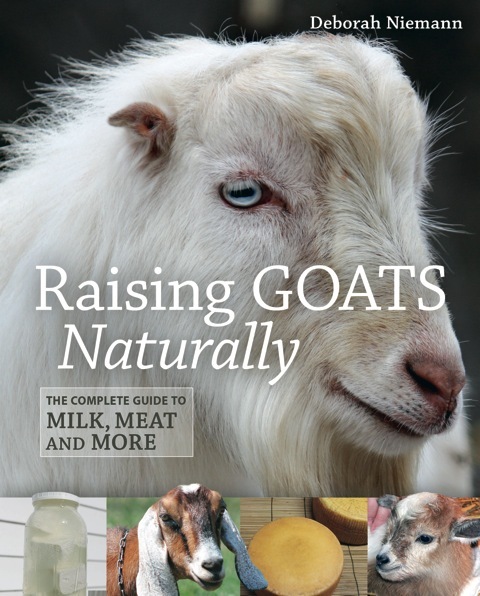 Raising Goats Naturally: A Complete Guide to Milk, Meat, and More is now making its way to a distributor, bookstore, or library near you. 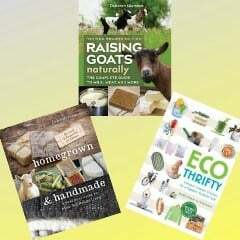 For those of you who prefer ebooks, it will also be available in most digital formats. You can pre-order at Amazon and Barnes and Noble. The official pub date is October 8, but we’ll start the party on the blog on October 1. To celebrate over the next couple months, I’ll be posting about all things goat! 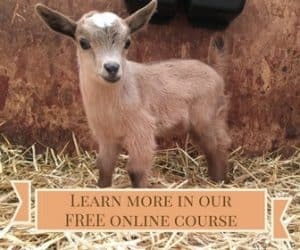 We’ll be talking about goat care, goat training, goat cheese, goat meat, and more, so that even if you don’t have goats, there will still be some interesting posts for you. Next weekend I’ll be speaking at the Mother Earth News Fair in Seven Springs, PA, so if you’re there, be sure to say hi!